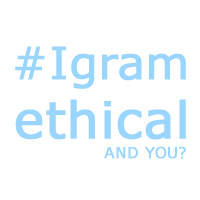 #IGramEthical - And You? 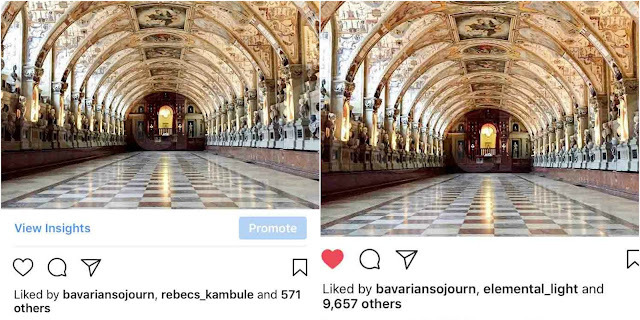 Say No To Instagram Fraud. This might encourage some to change a few things. In previous months I worked on a project where I monitored user behaviour on Instagram. I carried out countless interviews and meetings over breakfasts, dinners, coffees, cakes, emails, and whatsapps, and gained invaluable information. Influencer marketing fraud is a problem. When I was recently invited to a magazine launch the social media manager told me that she only works with Instagrammers who have a high following. I told her about my findings and she admitted that she was surprised that Instagram success can be enhanced artificially. You can’t use apps to measure it; every user can do things to look like a celebrity, you have to study Instagram accounts for a good amount of time to be then in a position to assess the results. The amount of likes a photo receives has got nothing to do with quality or with whether you are a nice person. It is mostly all about how “creative” you are in the way you play on Instagram. As an example on the left is one of my photos that I posted on my account, and on the right when a company featured it on their account. Sometimes people got upset when I asked them about their work ethics, some even flipped out, that hurt. The large majority though reacted very positive and told me how frustrated they are with the uncontrollable use of shady tricks on Instagram. They feel pressured to play along and fear to lose assignments and friends from their network. Since when did cheating become so widely acceptable? How did we end up like this? It is exactly the same as doping in competitive sports. Brands want to see high numbers; hence users engage performance-enhancing measures to deliver. It is all about money. From experience, I can say that no company loves to throw money out the window, and I have the feeling that not many brands are aware of all the performance-enhancing activities that go on behind closed doors. What exactly are social media marketing fraudsters? Fraud? Really? Yes. All users who buy followers/auto likes on Instagram or engage in any other form of performance-enhancing activities like commenting pods or organized follower trains, undermine the quality of work of their peers. These people aren't social media managers, influencers or strategists; they are social media fraudsters. I want social media to be a lovely place. It is in our hands. It is all about respect, interaction and attitude. Let us be honest, trustworthy, responsible people who love the platform and enjoy it and who want to use it to grow, be inspired, inspire and above else, have a good time. There is too much fake engagement. No one wants to be friends with a robot, and no one needs robot comments. I’m not naïve; I just don’t want to accept unethical behaviour any longer. We all read the clever tips on how to gain followers, as in for example, like five photos, leave one comment and everybody follows you. No, this is spam behaviour, you are not sincere. There are countless commenting groups, Instagram pods, where it's organized to like a photo and comment on each other’s content to simulate high engagement. When I think of all these years where I didn’t understand what is going on behind the Insta-curtain. Only when I was invited into a commenting group it dawned on me and out of a sudden it all became crystal clear. I realized literally within a few hours why even bad quality photos received so much praise. That leaves everybody guessing how the ones feel, who aren’t part of a group like that? It is heartbreaking for all who work hard to make things work, and if we are honest, simulating interest is misleading customers, it is deceptive advertising. Each Instgrammer can change the fake-audience situation into a real-audience one. Why would one pay a person (a fan) to like you? This is important, I have to repeat it, this is not at all about making others feel stupid. We can only change things together, and it would be great if we could do this, no matter whether we belong to a certain group or not. -you are in short considerate towards other people on social media. I understand that Instagram wants to make money on the platform; the company has the right to do that. So far we can all use their service for free. I personally wouldn’t mind if each user would have to pay a regular monthly fee to use Instagram if that helps everybody to play a fair game. Tell everybody who might be interested, who can add to this, and who wants a fair Instagram in the future, about this initiative. I don’t want your likes, follows or applause, this is not a trick. Do one thing that scares you every day? I have just done it. All comments are welcomed. Just spread the word please, and be brave enough to use #igramethical for all your future posts. Please visit Instagram, meet me, aka The Touristin, and follow the hashtag to see who already grams ethical. I love this initiative. Totally agree, lets go back to the values of 2014 when Instagram was full of stunning images and the numbers were real, so were the people. Thank you so much Unknown. Let us do it together. Awesome initiative,I will definitely being using the hashtag.Its very frustrating when you see people getting press drops and things and you can clearly see they have fake followers. Thank you so much Charnelle Avontuur. We as Instagram users can only change things together.